As of 1 January 2019, the President of the Global Labor Organization (GLO), Klaus F. Zimmermann also serves as the President of the Eurasia Business and Economics Society (EBES). EBES is a non-partisan, scholarly association dedicated to the discussion and publication of business and economics research and aims to advance the economic and business knowledge and the profession. EBES encourages plurality, freedom of expression and multidisciplinary. While the focus of EBES is the Eurasia region, the membership covers all parts of the world. MORE DETAILS. 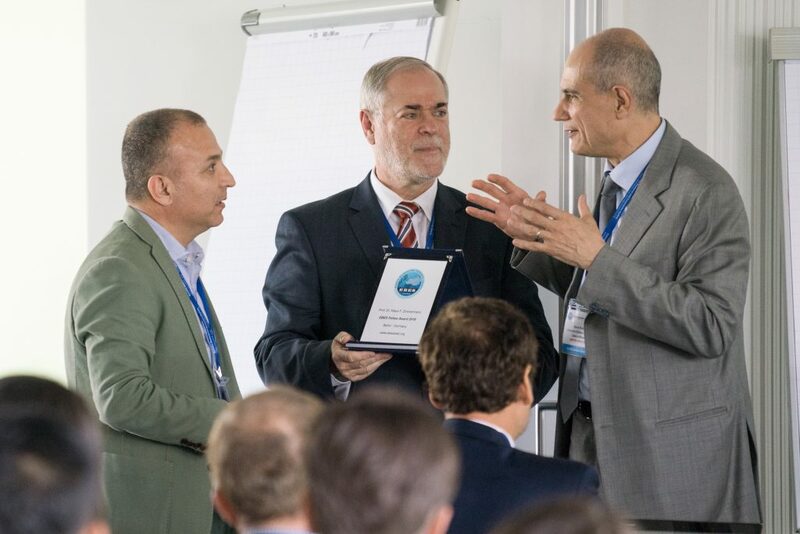 Zimmermann had received the EBES Fellow Award 2018, was already a member of the Executive Board of EBES and a member of the Editorial Board of one of the EBES Journals, the Eurasian Economic Review (EAER, since 2017). In May 2018, EBES and GLO organized a very successful conference together in Berlin. In the summer, both organizations had signed a Memorandum of Understanding (MOU) about establishing a long-term collaboration on educational and research activities. GLO will support paper sessions in the three conferences, EBES is organizing per year. This year, the events will be in Bali, Coventry and Lisbon. EBES publishes two research journals, the Eurasian Economic Review (EAER) and the Eurasian Business Review (EABR). The EABR with GLO Fellow Marco Vivarelli as the Editor-in-Chief just got accepted for inclusion in the Social Sciences Citation Index (SSCI) starting with volume 6, issue 1 in 2016. The editorial team of EAER works with a similar ambition, since January 2019 under the leadership of Dorothea Schäfer as the Editor-in-Chief. Mehmet Huseyin Bilgin is the long-term driving force of EBES and one of its Vice-Presidents, Marco Vivarelli the Editor-in-Chief of EABR. Bilgin and Vivarelli are also GLO Fellows; Bilgin is further the GLO Country Lead Turkey and Vivarelli the GLO Cluster Lead ‘Technological Change and the Labor Market’.